Happy Monday!! It's new sketch day at Let's Get Sketchy! Come play along at Let's Get Sketchy - would love to see your take on this sketch! You have until October 31st to join in! Great layout, your pp works perfectly with your photos, this is definitely a favourite of the week. 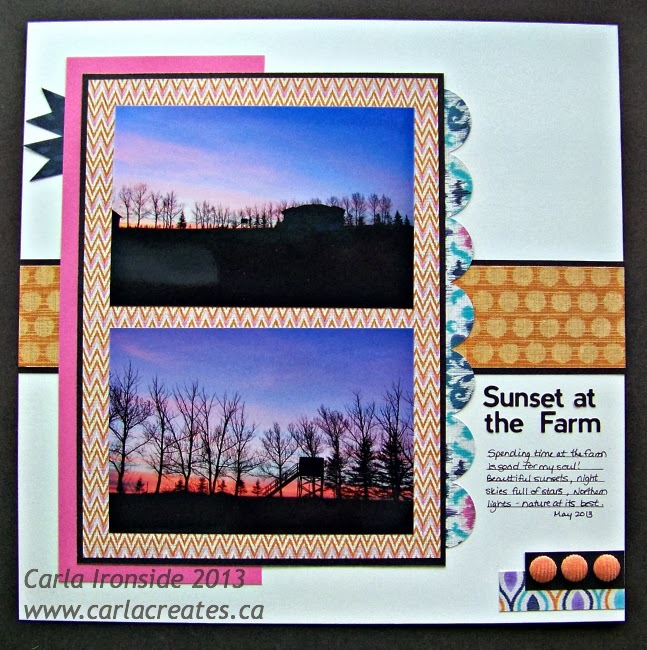 Carla, I love how you worked with the sketch and the bright patterns and colors you chose. Very nice page. The colors go so well with your photos. The border paper is cool! It looks like tie dye! The photos are so great! !